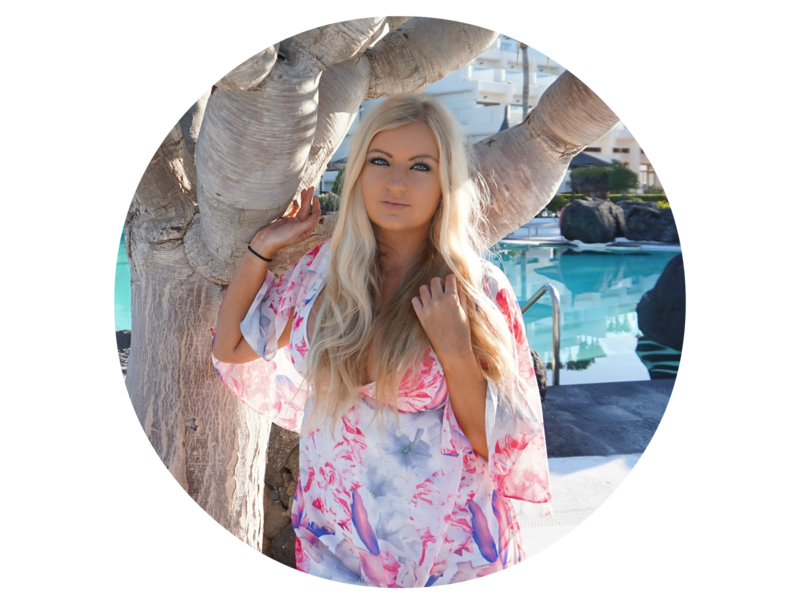 Before Blonde Vision, I was always so rubbish with trying out new products, choosing to stick with what I knew - or what I thought I knew. Now I love exploring new brands and finding out how they can change either my skin, my looks, my make up etc. I tried out the brightening cleaner, Illuminating day cream and the Regenerating Night Cream, all from the Marine Radiant White range as shown in the photo below. If you read my blog regularly or follow me on Twitter, you'll know I often complain about my dry and dull skin, particularly this time of the year. In the summer my skin is a lot more luminous and sun kissed but October-March, it's completely the opposite. When I saw that these products are brightening and illuminating, I was so excited to try them to add some glow back into my skin. The first thing I notice about he trio of products is the packaging. These products aren't cheap and I would expect the packaging to reflect this, and I'm the first to admit I'm a sucker for packaging. Whilst the cleanser has a pretty average bottle, I LOVE the day and night cream bottle/pot. I had to take a photo of the night cream (below) as to get it out you push the lid and a perfect amount of cream comes out of the top. Not only am I easily amused as this unique pot, it's so practical as it dispenses the perfect amount of product which means no wastage - LOVE! They say: This brightening cleanser removes all traces of make-up and impurities without irritating the skin. The gentle formula contains Algowhite™, Vitamin C & Vitamin B3 which work together to exfoliate and brighten the skin. Use a small amount on the face and emulsify with water, gently massage all over until it foams up. Rinse well. I say: Out of the trio, this one was probably my least favourite. I wear very heavy make up (all the time) so it didn't completely get it all off, so I ended up double cleansing, which wasn't a massive deal as I usually do any way. It did however leave my skin with a bit more of a natural glow, and feeling very soft. They say: This light day cream is formulated to help protect the skin against signs of ageing. A combination of ingredients such as Algowhite™, Vitamin C & Vitamin B3 gives the skin a clear, luminous and smoother complexion. While gentle UV filters protect the skin from UVA & UVB rays which can cause ageing and dark spots. Apply on the face and massage until absorbed. Use daily in the morning. Use daily at night on cleansed skin. Massage in circular motions on face and neck and allow skin to absorb thoroughly. 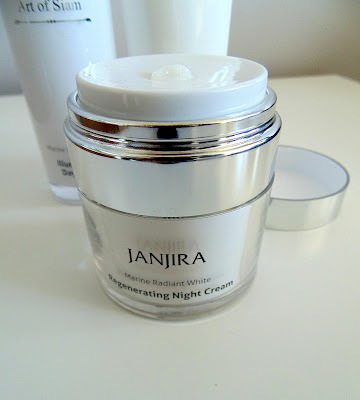 I say: Since I first tried this moisturiser, I've been using it religiously every day. There has definitely been a difference in my skin, as it's been less dry and noticeably more illuminated. The illumination does fade throughout the day as my skin is battered by the elements walking to/from work etc. but there's no doubt this product works. They say: A light, non-greasy overnight gel that targets dull, blotchy and uneven skin tone. Algowhite™, an extract from brown alga is enriched with antioxidants that have a triple action on skin - it brightens, exfoliates, protects and targets dark spots. While a combination of Vitamin C & Vitamin B3 gives the skin a clear, luminous and smoother complexion. Continuous use retextures and improves skin tone and promotes elasticity as well as reducing the appearance of fine lines and wrinkles. I say: As with the day cream, I've used this product every night since I got it. If you know me well, you'll know I don't take my make-up off at night (YES, I know, shocking), but since I got this, I've been taking it off every night just to use my cream!! I'm trying to change the (bad) habit of a lifetime! Overall, I'm so happy I was introduced to this brand. My skin feels fresher, more illuminated and definitely less dry which is always a bonus for me. After having a long browse of their website, I've found so many other products I'm putting on my Christmas wishlist including, Marine Radiant White Instant Brightening Bubble Mask, Marine Radiant White Brightening Booster Serum and Pomegrante & Acai Micellar Water. sounds like a great line of products! My skin is rather oily at the moment for some reason, but I agree with you on the packaging. LUXE!